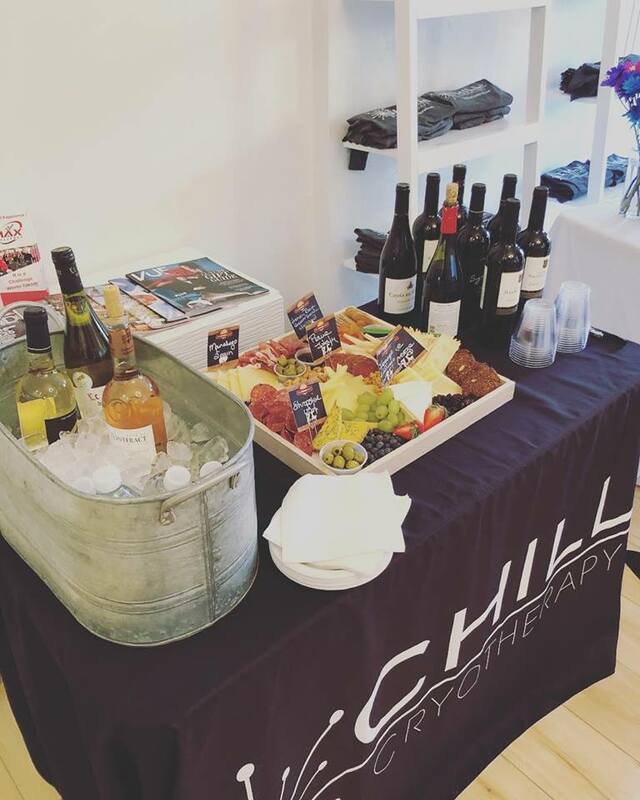 Chill Rx Cryotherapy, Red Bank : Every Friday Night is Wine and Chill Night! Chill Rx Cryotherapy - Every Friday Night is Wine and Chill Night! Stop in Chill Rx Cryotherapy before your Friday night plans begin for Wine and Chill Night! Grab your date or some friends and enjoy a glass of wine and a CryoFacial or a Whole Body Cryotherapy session. Bring your own bottle and relax before a night out! Forgot your wine? Don't worry, Chill Rx Cryo will also have wine there for you to enjoy. Stop by, say hi, and enjoy a discount on your session! The party starts at 5pm and goes until 8pm every Friday night! Make Chill Rx Cryotherapy part of your Friday night routine at Wine and Chill Night!